Broke new ground in my career today - my first performance as a non-human! Thankfully, the baboons in David Weiner's "Feeding Time at the Human House" are quite heavily anthropomorphized, so I didn't have to paint my bum red or climb on anything...! 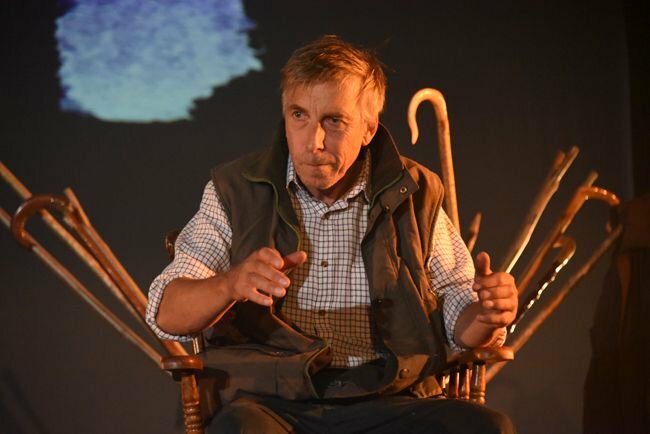 In case you missed it earlier this month, BBC Wales' spectacular, all-star television production of Under Milk Wood will be broadcast on BBC Four this Sunday night (1st June) at 22.30, and will be available on iPlayer for 7 days after that. Delighted to have had a short play-script included in Issue 2 of literary periodical Bare Fiction. It also includes, as well as a lot of fascinating poetry, three other short plays, and a none-more-dark story from Rachel Trezise. Just a quick post to tell you all about Not Too Tame's production of 'Early Doors', which previously played in Porters, Cardiff, will now be playing at the Edinburgh Fringe Festival 14' as part of Pop Up Pleasance, at the Jinglin' Geordie Pub. I’m looking for a Director to help me rehearse a one man show I’m performing at this year’s Cardiff Comedy Festival. We have an ambition. We want to take our bilingual production of Priodferch Utah/Utah Bride to Patagonia for the 150 year celebrations. Many of themes of Utah about searching for that 'something else' tie in with the first Welsh people who landed ' with a dream and a hope of creating their new home'. Resident Artist for a Day, who? Me? Yeah you heard it, probably you are as much surprise as me. I am really glad to have been shortlisted for Resident Artist at NTW. proposed. So I would say I am Artist at NTW for the day. The first one out of the six, no pressure. NTW TEAM Workout is evolving… and needs YOU!!! Do you have an idea/script/dream which you’re not sure how to get off the ground? Are you looking to get involved in new projects and find new collaborators? Are you a theatre-maker who’d like to meet other theatre-makers and play for a day? 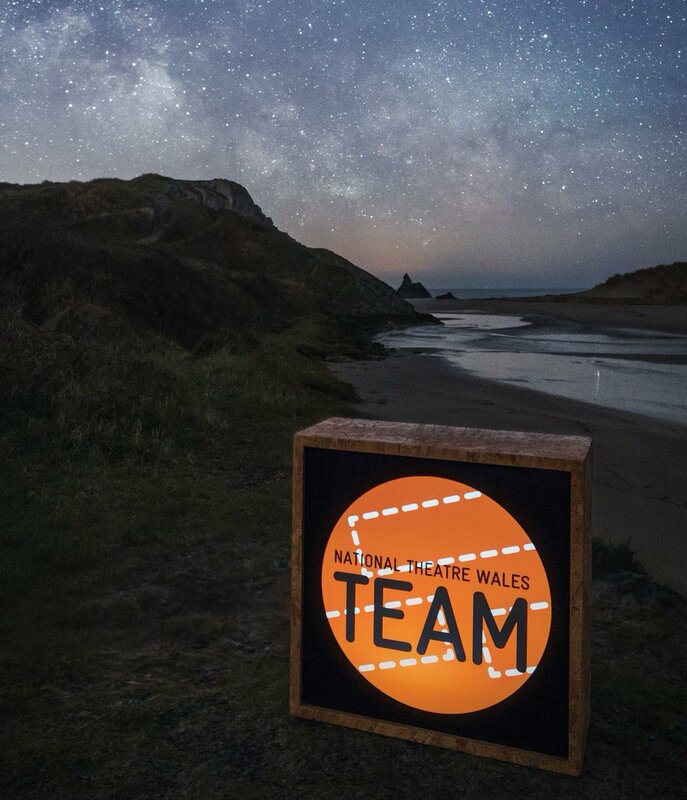 Here's a short report and images detailing what we got up to during (and in the lead up to) our day as Artists in Residence at National Theatre Wales HQ... including confirmation of the 1969 moon landing! We're looking for an enthusiastic actor-musician (actor not necessary) to be a part of a very exciting project which is happening over a course of a month THIS summer. It's an unspoken devised piece of theatre, which will be performed at Sherman Theatre, National Eisteddfod & Edinburgh Fringe. It's week two, and yet it feels like a month ago I wrote my first blog post! We have fully immersed ourselves in the text, history, beauty and pain that comes with the production. We have a uniquely talented mix of performers, creatives and technical team collaborating to make the most of this opportunity. An opportunity, that in my opinion, has the ability to portray the battle of Mametz wood in a raw and passionate manner. This is going to be a great day - we've Extraordinary Little Cough on the Worm and then Reminiscences of Childhood in the sight of the worm.